The following information describes how to register to live in Ghent city centre if you will be an employee here. If you are living in a house/apartment with postcode 9000 you will need to follow this process. 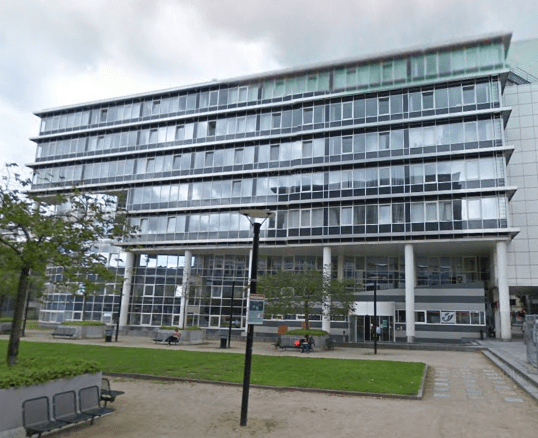 It is colloquially known as the ‘Zuid process’ because most appointments take place at offices based near Zuid park. This is the busiest and longest process because it handles the largest number of people. If your postcode is not 9000 you will register with a different authority. While the main process will be the same, there will be some differences. Make an appointment with the Migratie office. Be aware that you may have to wait as long as 2 months for a free slot. You will not need to queue at the reception desk. Walk around to the front of the queue and take a ticket. Then take a seat right in front of you in the waiting area. Your ticket number will be shown on a screen when it’s your turn. Go up to the counter you are called to. A Limosa agreement and A1 form if you are employed by a company based in another EU country. This applies if you will be working temporarily (up to 2 years is allowed) from the company’s Belgian office (posted worker). The Limosa agreement is just a form that the HR department of your company based in Ghent can provide. They’ll make copies of everything and also ask you where you are living, so you will need to have an address already in Ghent that allows you to take domicilie. This is because a police officer will need to come around and check that you are indeed living there. They will also give you a form called bijlage 19 (see image). This is proof that you have started the registration process. Around 2-3 weeks after your first appointment, a police officer will call at your home to check that you are actually living there. Unfortunately you can’t just answer the door and that’s that. They will need to come inside and sometimes they may even ask if they can look around. This is so that they can be satisfied that you’re not just staying with a friend, for example. If you were asked whether you are living with a partner (samenwonend) you may also have to prove at this point that you are indeed a couple. For example, they might ask for photos of you together. They will probably ask you to confirm what you do for a living, for you to show your passport, and sign a form. Otherwise there are no new forms for you to fill in or show. They will fill out a form while they are there and then send confirmation back to the authorities that you are living at the address provided. A few weeks after the police have called around, you will receive a letter through the post confirming whether your registration application has been accepted. Assuming it has, the letter (written in both Dutch and English) will invite you to an appointment back at the Migratie office at a specific time and date. However this appointment could be a month or so away. With the letter you will also be invited to sign up for a Dutch language course and ‘inburgering’ course (a course to integrate you into Belgian society) via In-Gent. These are optional, but highly recommended. Attend your second appointment with all the documentation you have been asked to provide. You will most likely be told to go straight to counters 11, 12 or 13 which means you do not need to queue at the main reception desk. You will probably be asked some more questions at this point – to confirm what you do for a living, where you were born, where you live now etc. You’ll also need to sign several documents and pay for your verblijfskaart (residence permit). They’ll give you a ticket with a bar code, and you scan this at a machine near the counters, then pay. Only cash is accepted, not cards. You will receive a receipt which is important to keep so you can prove you have already paid. At the end of this appointment you’ll receive a new form – a bijlage 8. This is confirmation that you have been permitted to stay and that you are just waiting for your card. They will also tell you that within 2-3 weeks you’ll receive an invitation by post to come and collect your card. Once you have received confirmation that your card is ready to collect (which will also contain the PIN number for your card), your best bet is to call into the snelloket at the Migratie office. You do not need to make an appointment for this. They are open Monday, Wednesday and Friday 9am-12.30pm and 2-4pm. Tuesday is the most useful day, open 9am-12.30pm but also from 2-7pm so you can call around after work. Expect extended periods of closure during the summertime Gentse Feesten and Christmas/New Year, amongst others. When you arrive at the Migratie office, present your letter to the reception desk who will give you a ticket. Take a seat and wait for your number to be called. You’ll need to present both the letter you received by post and your bijlage 8 (plus confirmation you already paid for the card). They will keep hold of your bijlage 8 for your file, and give you the opportunity to change the PIN on the card to something more memorable (but this is optional). They’ll hand you your card and you’re done. You should mention it that to make the first appointment (literally step 1), it can take up to 2 months like what just happened to me. I tried making an appointment on Nov 29 and the very first appointment that is available is January 23. Totally ridiculous!!!! Hi Kenny, it’s a good point. I think when I first requested an appointment, it was for at least a month later. And especially around the summer and Christmas holidays it’s always slower than at other times of the year. My advice for your appointment on the 23rd January is to take every piece of paper you have – you really don’t want to have to wait another 2 months. Good luck! Hi Heather, so the ticket machine already works nowadays? When I was there half a year ago, I still had to queue in the reception desk even though I had appointments. Somebody told me that they do have ticket machine but it’s been broken for a long long time and they are not really fixing it. Good if it is fixed now. I went through the process about 2 years ago now and it was working then, but indeed it may have since changed. We’ll do a Facebook post to see if anyone who’s been in the last couple of months can provide a more recent update.